The Bibbulmun Track caters for everyone and every experience from a gentle stroll to an eight week adventure. You can make it more of a wilderness experience by camping out, you can join a guided group, or you can explore it in comfort using the varied accommodation in the towns along the way. Quiet reflections beside the swimming hole at Schafer campsite near Northcliffe. Self-guided walking and camping with a backpack is a satisfying and inexpensive way to the experience the Track. This section will provide you with a wealth of information to help you get started. Your Path..... Out of the Ordinary. 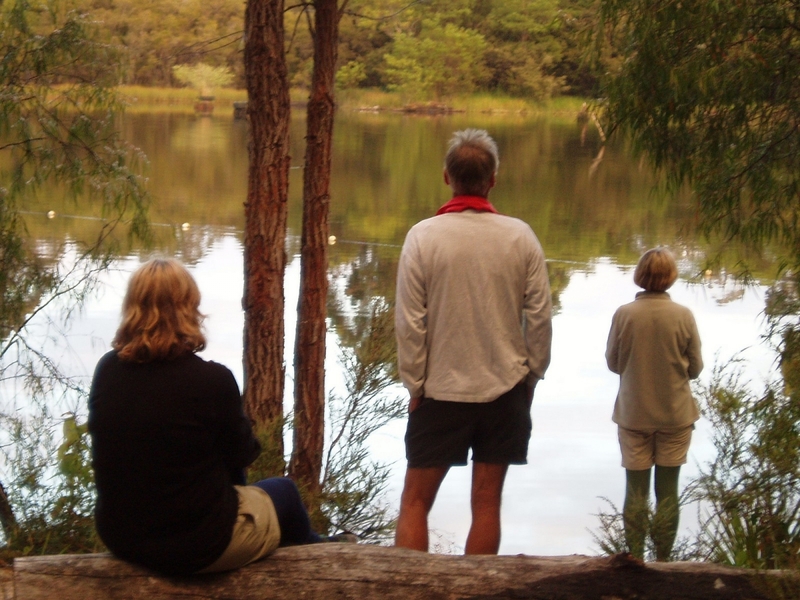 Our Calendar of Events is designed to get you out there and enjoying the Australian bush. Whether it be a day walk, an overnight walk, a women's only event, something for the kids, a workshop or an expedition, you're sure to find something that interests you! The Bibbulmun Track Foundation conducts two tours each year - the 9-day Bibbulmun and Beyond Tour in May and the 8-Day Highlights Tour in September. A test of brain and brawn! Challenge yourself in a team environment, competing against other teams on the Bibbulmun Track. Our Group Activities are aimed at corporate groups who wish to take their staff out to the Track. We focus on team building, socialising and getting back to nature as a way to reduce the stress of day-to-day working life.